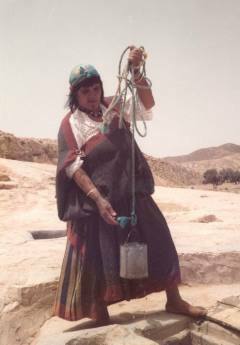 Tachawit belongs to the family of Berber languages and is spoken by the Chaouia around the Aurès in northeastern Algeria. The Berber languages are a part of the Afro-Asiatic language phylum, together with the Chadic, Cushitic, Semitic and Omotic languages as well Old Egyptian. At present, Berber languages are found from Egypt (Siwa) across Libya and Algeria to Morocco and from the shores of the Mediterranean Sea to south of the Sahara. The present study contains a revised selection of 21 stories which had been gathered by Gustave Mercier around the end of 19th century and published in his works Cinq textes berbères en dialecte chaouia (1900) and Les Chaouia de l’Aurès (1896). The reader finds an exhaustive example of oral literature among the Chaouia, which illustrates the diversity of narrative styles and topics. The stories therefore represent an important wealth of information on a dialect which hitherto has been largely unexplored. 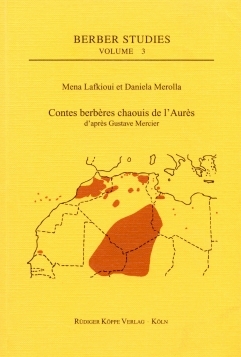 The texts are preceded by an extensive introduction including a short biographical sketch of Gustave Mercier, his motives for collecting the Chaouia stories as well as a linguistic classification of Tachawit and notes on the narrative traditions of the Chaouia and summaries of the individual narrations. The main part of the book consists of 21 texts completed by a French translation. [...] the collection of texts in this book remains a welcome addition to a growing database of Berber texts. It gives an idea of the socio-cultural context of the Chaoui community. One can only thank the editors for the effort they put into this work, and hope their expertise will prompt them to bring out more texts in Berber.